Benetta & Kevin - Lover, U.R. My Secret 12"
HOUSE, Grove St., USA, Unknown Year... Garage House with Lover, U.R. 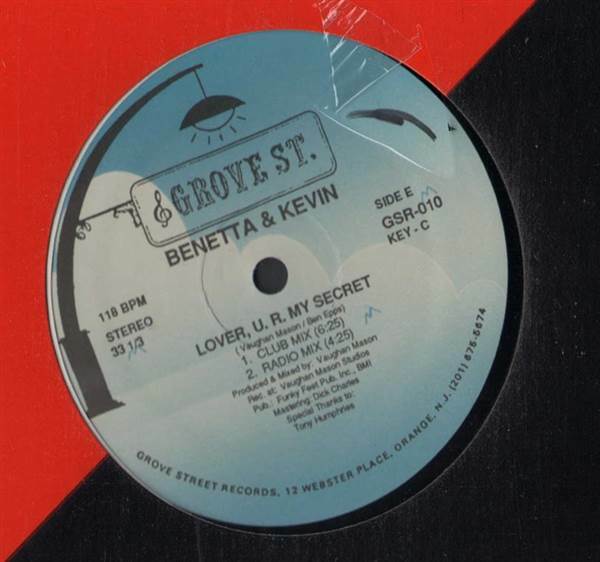 My Secret (Club Mix), Lover, U.R. My Secret (Radio Mix), Jack Your Body Up Now, Lean On This (Lover). Mack Vibe Feat. Jacqueline - I Can't Let You Go 12" Unknown - In Paradise 12" Do It! - Carico, Carico, Carico 12" Laurie Roth - In My House 12"
Bastone & Burnz Feat. Triple Lexxs - Horny All The Time 12" Nicole - Runnin' Away (E-Smoove Remixes) 12" Tony James - Bye Love 12" Zoo Experience - Thinking About Your Love 12"